INDIANAPOLIS, June 25, 2018 – 2016 Olympian Nicole Ahsinger of Lafayette, La./Trampoline and Tumbling Express, and 2012 Olympian Savannah (Vinsant) Thompson of Scott, La./Trampoline and Tumbling Express, headline the field that includes four World medalists and five defending senior champions for the 2018 USA Gymnastics Championships, the national championships for acrobatic gymnastics, rhythmic gymnastics, and trampoline and tumbling. 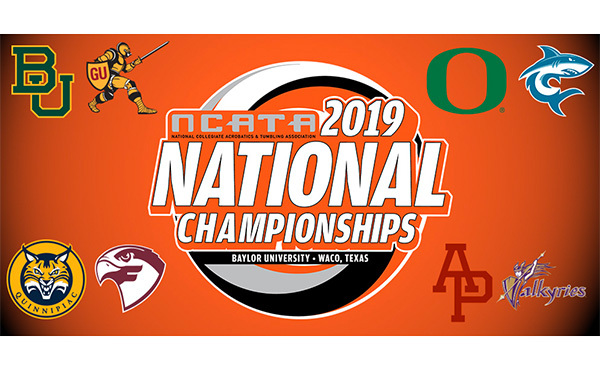 Scheduled for July 3-7 at the Greensboro (N.C.) Coliseum Complex, the competition includes both Junior Olympic and elite levels and is one of the national championships held annually by USA Gymnastics. The junior competition also includes qualifying for the 2018 Youth Olympic Games, scheduled for October in Buenos Aires, Argentina. The World medalists, listed alphabetically, expected to compete in Greensboro are below. Matthew Hawkins of Phoenix, Ariz./North Valley Gymnastics: 2017 double-mini team silver. Paige Howard of San Juan Capistrano, Calif./World Elite Gymnastics: 2015 double mini-trampoline team bronze. Kristle Lowell of Orland Park, Ill./Morgan Park Sports Center: 2015 double-mini team bronze; 2013 double-mini individual and team gold; and 2011 double-mini team bronze. Alex Renkert of Columbus, Ohio/Integrity Athletics: 2017 double-mini team silver; 2015 double-mini team silver and tumbling team bronze; and 2013 double-mini team gold and individual silver. CJ Rhoades of Joplin, Mo./Amplify Gymnastics: 2017 double-mini team silver. Tristan Van Natta of Hilliard, Ohio/Integrity Athletics: 2015 double-mini team bronze; and 2013 double-mini team gold. Five senior and seven junior champions from last year are hoping to defend their titles, with two junior champions who are now competing on the senior level. 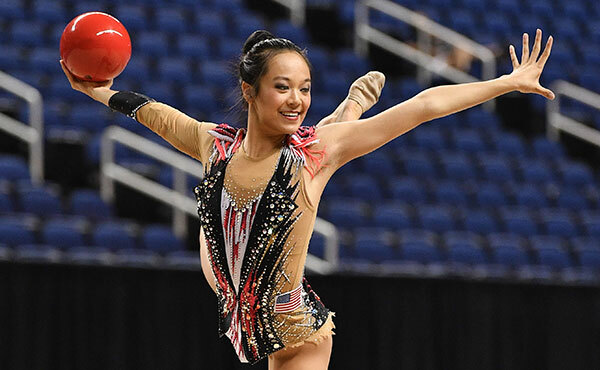 This past weekend, Alyssa Oh of Rocklin, Calif./World Elite Gymnastics, won the women’s individual trampoline gold medal at the 2018 Junior Pan American Trampoline Championships in Cochabamba, Bolivia. 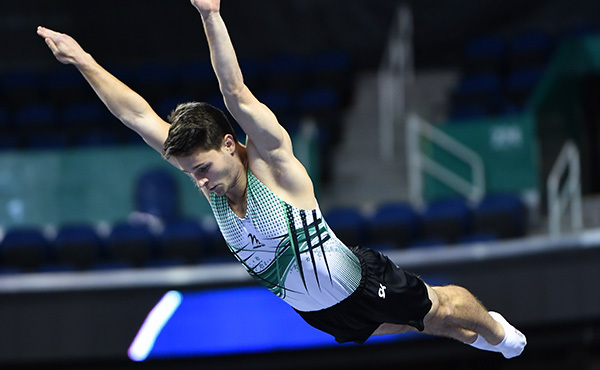 Ruben Padilla of Oakley, Calif./Tornado Sport Club, nabbed the men’s trampoline bronze medal. Oh earned a berth to the Youth Olympic Games for the USA with her first-place ranking in the qualification round. For the junior and senior elite levels for each discipline, the athletes will vie for national titles. 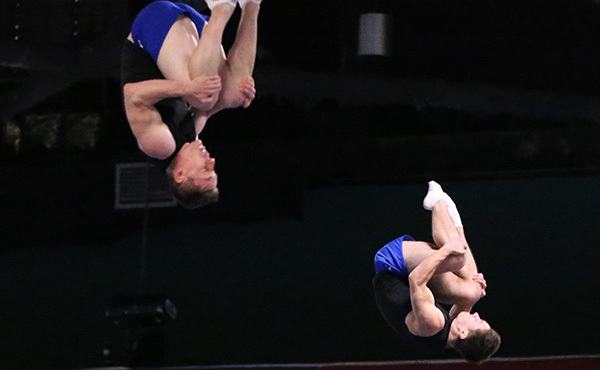 Performances in Greensboro also will determine berths on the junior and senior U.S. National Teams for acrobatic gymnastics, rhythmic gymnastics and trampoline and tumbling. For rhythmic gymnastics and women’s trampoline, the competition will be part of the selection process for the 2018 World Championships and Youth Olympic Games. The Junior Olympic division has several different levels, and national titles will be awarded for each level and age group for each discipline. Evening session tickets at the Greensboro Coliseum are: July 5 and 6, $35; and July 7, $40. The all-session pass, which grants access to all sessions, is $95. A $35, single-day pass will be available onsite on competition days. Advance tickets may be purchased at the Greensboro Coliseum Box Office, ticketmaster.com or charge-by-phone at 1-800-745-3000. The elite competition schedule, held in the Greensboro Coliseum, is as follows. The schedule for the Special Events Center is available at usagymchamps.com. All times are Eastern. The local hosts for the event are the Greensboro Area Convention and Visitors Bureau, Greensboro Coliseum Complex, Tournament Hosts of Greensboro, and Sports & Properties, Inc. 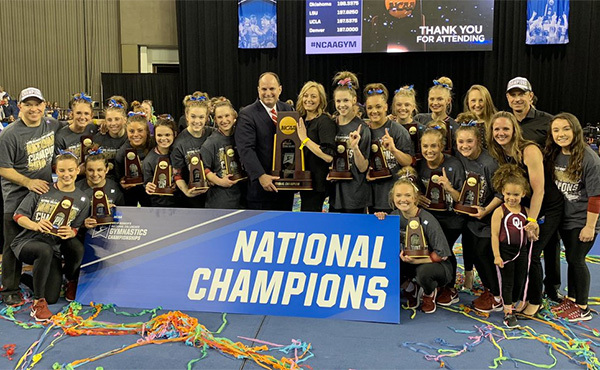 This will be the third time gymnastics events have come to Greensboro, following the 2015 USA Gymnastics Championships and the 2014 American Cup and Nastia Liukin Cup. The USA Gymnastics Championships was first held in 2014 at the KFC Yum! Center and the Kentucky International Convention Center in Louisville, Ky. In addition to Greensboro, past sites are Rhode Island Convention Center and Dunkin’ Donuts Center (2016), and Milwaukee’s BMO Harris Bradley Center and Wisconsin Center (2017). 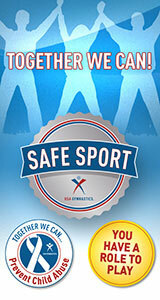 For more information on the USA Gymnastics Championships, please go to usagymchamps.com. Rhythmic gymnastics is characterized by grace, beauty and elegance combined with dance and acrobatic elements, while working with the apparatus in a choreographed routine to music. The five apparatus used in rhythmic gymnastics are rope, hoop, ball, clubs, and ribbon. Rhythmic gymnasts may compete individually or as a group. The choreography must cover the entire floor with intricate apparatus handling, dance combinations, jumps, leaps, rotations, and balance difficulties. Each movement involves a high degree of athletic skill. Physical abilities needed by a rhythmic gymnast include strength, power, flexibility, agility, dexterity, endurance and hand-eye coordination. 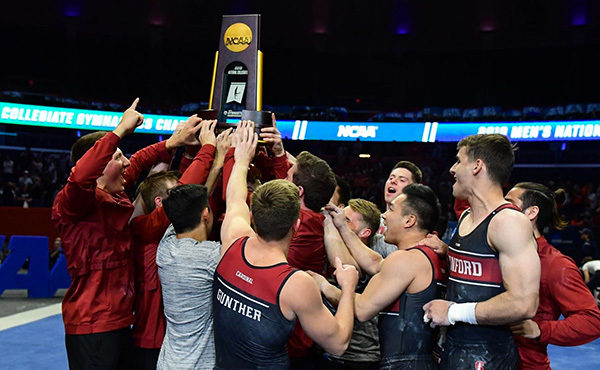 Trampoline events involve athletes using trampolines that can propel them up to 30 feet in the air, during which they can perform double, triple and quadruple twisting somersaults. Tumbling utilizes elevated rod-floor runways that enable athletes to jump at heights more than 10 feet and execute a variety of acrobatic maneuvers. For the double-mini competition, the athlete makes a short run, leaps onto a small two-level trampoline, performs an aerial maneuver and dismounts onto a landing mat. Trampoline was added to the Olympic Games in 2000, and at the 2012 Olympic Games in London, the USA had its first athlete in history advance to the finals. Sports & Properties, Inc. SPI is a sports marketing and sports development firm concentrating in three primary areas of business: major sponsorships, including naming rights; sports tourism; and major events. SPI recent projects include the Raleigh-Durham market’s Major League Soccer Application, the USA Masters Games, greater Asheville sports tourism, and the Seminole County Sports Complex. Event projects include the Africa Youth Games, US Figure Skating Championships, and the American Cup Gymnastics. SPI clients include Capitol Broadcasting Company, the Asheville Buncombe Regional Sports Commission, the North Carolina Football Club, and the Greensboro Coliseum Complex, among others. For more information on SPI, visit sportsproperties.com.